A comparison between SIRIM (Malaysian Govt Palm Oil Seed Certifying Authority) and our minimum qualifying requirement with regards to the mother palm and progeny (offspring) performance is given below. The extra oil yield (5.28ton) at USD$900/ton will earn an extra USD$4750/Ha every year. 8 Year old Oil Palm tree in our seed nursery, produced 535kg of fruit this year. With a certain percentage of genes from La Me and Oleifera species, our planting material has the advantage of a short trunk height which translates to a prolonged economic lifespan. Our 18 year old oil palm has a trunk height of 4.0m as compared to 12.0m for a 25 year old palm from other seed producers. Height increment can measure as low as 25cm per year which is less than half of that from normal plantings. Many of our trees have 40kg bunches yielding over 400kg per tree / year. With the incorporation of the Yangambi gene through the paternal lineage our planting material is vigorous and harvesting of fruits can commence 18 months after planting as opposed to the industry average 30-36 months. Our planting material can produce a high yield of 16 tons/ha in the first year of harvesting,subsequently increasing to 35-38tons/ha in the 5th year of harvesting. Our oil palms have been critically culled for over 20 years for nearly 100% female flowers. 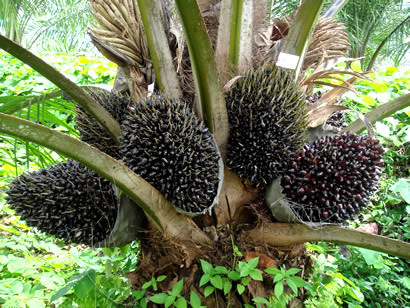 Our oil palm bunches provide yields over six kilograms above the industry average. Our oil palms consistently produce an average 16 bunches per tree per year from Year 2. 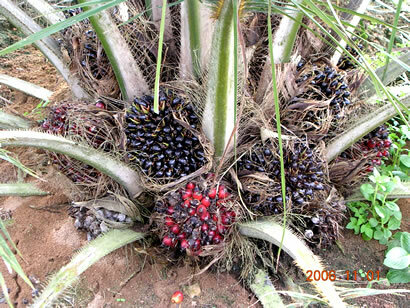 Our oil palms achieve above 32% oil to bunch ratio when industry average of only 25% is achieved. 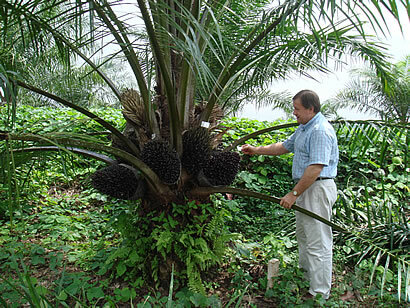 Our oil palms produce more oil within fruits when compared to industry standards. Our Oil Palms have shorter more erect fronds making it possible to plant 156 trees/hectare as compared with industry standard of 132 oil palms/hectare. We are entering the Biotechnology field with the construction of a tissue culture laboratory. Tissue Culture enables replication of individual high performing Palm in large scale and shorter time. Tissue Culture ensures that ramets(offspring) produced are identical to that of the original palm. Traits such as higher oil/bunch is highly heritable and transferable to the next generation. An improvementof 20-30%oil yield can be expected over conventional DXP planting material. WARNING: Many current tissue culture producers face problems with mantling where hermaphrodite fruits are produced. The cloning protocol for oil palm needs to be perfected prior to mass replication. Subsequently, genetic engineering can be applied to improve oil characteristics such as higher carotene, tocopherol, tocotrienol, olein synthesis etc.